Amidst the crowd of Smartphones, the HTC sensation XL seems like bringing freshness in every aspect of telephony, ranging from the design of the phone to its software as well as hardware. 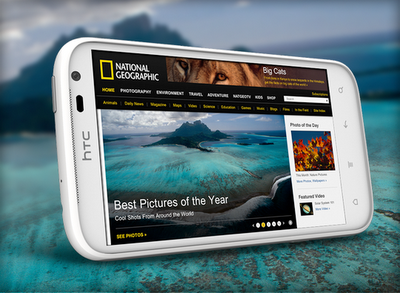 In design, the phone is further extension to conventional HTC design. The device is thin and light. The back of the phone is metallic and, however, it is not entirely unibody. The power button is located at the top of the phone with the headphone jack, volume keys on the right and the micro USB port on the left. On the back side there is located the camera lens with the dual LED flash and the loudspeaker. The display of the Sensation XL is its biggest attribute. It is a WVGA (800 x 480) resolution for the XL’s 4.7-inch display and provides a pixel density of around 198.5 PPI. The LCD panel used with Sensation XL is easily being credited for the excellence exhibited in displayed in Sensation XL. The Sensation XL operates on a 1.5GHz Qualcomm Snapdragon MSM8255. It consists of a single-core CPU and the Adreno 205 GPU. In the software,the Sensation XL runs on Android 2.3.5 with Sense 3.5 layer on top. However, phone is about to be updated with Android 4.0 soon.